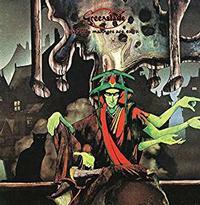 This reissue of the second Greenslade album is a definite value. It's a double disc set in a great digipack with a classy booklet. Disc one is the album itself with three bonus tracks from BBC Radio. The second disc is a DVD that includes some promotional videos and some performances on "The Old Grey Whistle Test." That DVD by itself would be well worth having, but as a bonus with the CD it's particularly great. All in all, this is quite a cool set. Mellow tones start this with a bit of a jazzy vibe. Non-lyrical vocals and piano add to that general vibe as it continues. As the song proper takes control I'm reminded of something that you might get if you blended Traffic with Steely Dan. Still, as the synthesizer dances over the top further down the road, the prog stylings dominate the piece. This piece continues to evolve and change. The mellower, trippy movement later is so classy. It jumps up into a cool psychedelic prog jam from there that's packed with energy and a lot of fun. Seeming to combine classical and psychedelic sounds, the opening section is slow moving and tentative. The piece rises upward from there to a killer fast paced progressive rock jam. This is tastefully complex and diverse. It works through several changes at times landing in the mellower zone, while at other points really rocking. There are nods to things ranging from folk prog to space rock and more. This instrumental is quite a classy journey. The blending of prog and psychedelic is in full force here. This is a fast paced jam that really rocks. While there are plenty of prog trappings, and it really soars, there is plenty of psychedelic rock edge built into this thing, too. It might not be as dynamic as the previous piece was, but it's still packed full of changes and variety. This powerhouse instrumental jam at times makes me think of Emerson, Lake and Palmer, but at other points calls to mind Yes. Still, overall the mélange of sounds is unique and fresh (well, for the time). As you might gather from the title, this does have a couple drum solos built into it - one fairly early and one much later. I really dig the organ soloing around the five-minute mark. Built around a killer prog rock groove, this has some amazing moments. There are segments of the instrumental section later that make me think of Pink Floyd a bit. This is energetic and really manages to groove while still exploring some pretty intense musical territory. There is plenty of both psychedelia and jazz in the mix. This also has a nice balance between more rocking and mellower stuff with some dropped back moments. 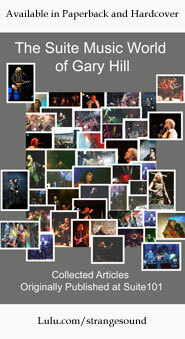 Progressive rock blended with jazzy elements and mainstream rock is the order of the day as this gets underway. There are some particularly interesting movements as this makes its way through its course. This instrumental is a real powerhouse. While the main focus is on keyboards, the other instruments get to shine, too. This live version of the track from the main album is compelling and potent. I really like the energy of the rendition. Here we get a live version of the title track. This is quite a faithful and potent rendition. It has a lot of beauty and magic built into it. This dynamic instrumental is performed live here in a real powerhouse way. It is packed with energy and twists and turns.